Welcome boys and ghouls to The Graveyard Shift! 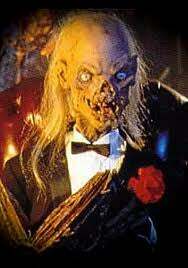 I, JollyBoots, am your new Wednesday night crypt keeper. If you're looking to to distract yourself from the things that go bump in the night, then look no further! And welcome to those on the other side of the pond just waking up. Congratulations on surviving yet one more night. Cracked gives us a look at some of the terrifying hobbies of children worldwide. There's now an official remake of Poltergeist in the works. Play Unplugged reviews the newest Pathfinder campaign setting : Fey Revisited. ZombiU 2 on hold until Wii U sales rise. You can discuss any of these, or none at all and just throw in your own random thoughts and inquiries. New to TAY? Here's a handy TAY tutorial written by our very own TUT. Remember to tag your posts tayclassic to have them show up here. One of our authors may share it to TAY, or one of the admins may even grant you author status for the main TAY page! The Graveyard Shift is not responsible for your late night procrastination, job loss, and failing grades.